If you needed any proof of the importance of power in the modern game, just look at the world rankings. Nine of the world's top 10 averaged over 300 yards throughout 2017, and in 2018 World No.1 Dustin Johnson currently ranks 13th with an average of 311 yards. Clearly, if you want to shoot low, you need to hit long. To better understand how top players create power, we're going to take a closer look at the actions six of today's most prodigious hitters. 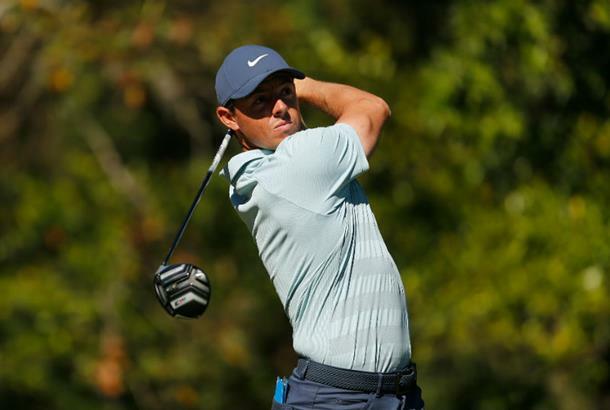 Four are in the current world's top 10, including world No.1 Dustin Johnson (average 311 yards), No.3 Jon Rahm (306), No.5 Justin Rose (308), No.8 Rory McIlroy (314) and at No.12 recent Farmers Insurance Champion Jason Day (312). 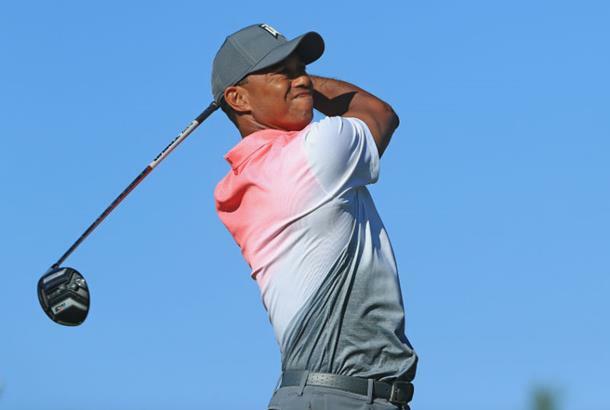 And making up this group is Tiger Woods (304), a golfer getting back up to speed in every sense; latest stats suggest his ball speeds of 180mph- plus rival the most powerful hitters on Tour. For each player, Tour coach Hugh Marr dissects their approach to uncover exactly what you can learn. You might not topple the 300-yard barrier, but you will gain a keener understanding of how the world's longest hitters develop speed and distance – the first, vital step to boosting your own driving distance stats. Launch monitors have laid bare the crucial role played by club- fitting in affecting yardage. Different shafts, weights and face lofts can promote a wide range of launch conditions that affect the ball's trajectory, and ultimately how far it travels. Every golfer has an optimal launch and spin level for the way they deliver the club... and the closer your driver set-up gets to that, the further you'll hit the ball. Dustin's ball flight has been optimised for him by his support team, and he proved it at last year's WGC-Mexico Championship. 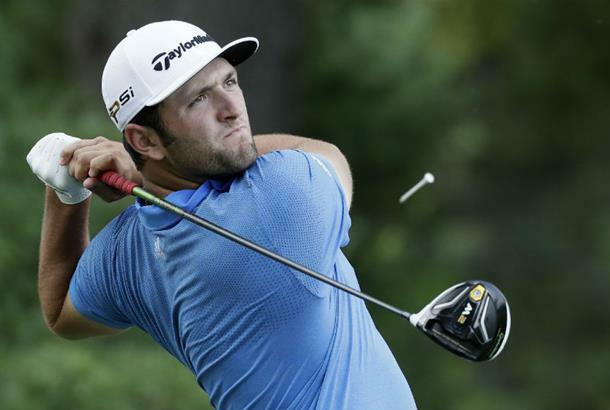 DJ spent some time on the TrackMan launch monitor. It revealed he launches the ball at 13.6° and spins it at 2016rpm from a club speed of 121.2mph – exceptional figures that deliver the ideal trajectory for him and ensure he wrings every last yard out of his swing. If you want to play you approach shots from the fairway and closer to the green, ensure you have you driver fitted to the best combination for your golf swing by a skilled club fitter. Don't go in search of DJ's numbers though! Optimal launch and distance changes with clubhead speed and attack angle. According to TrackMan, the average male golfer delivers the driver to the ball at 93mph. At this speed they recommend a ballpark figure of 16o launch and 2,550rpm spin. Work with a pro to get as close as possible to your ideal figures for a healthy distance jump. Resume: Ranked the world's best amateur for a record 60 weeks. 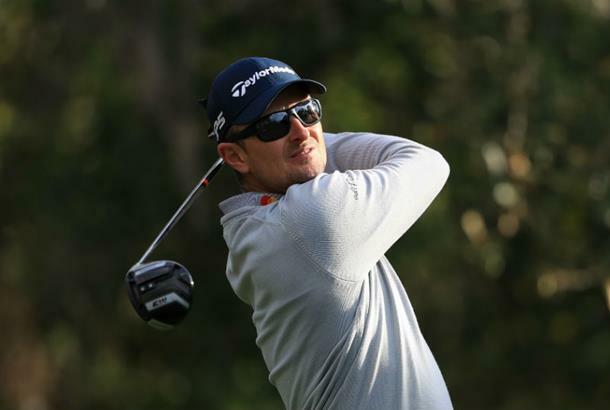 Winner of three tournaments during 2017 and already a winner on the PGA Tour in 2018. This image captures Jon at the change of direction, and the aspect of his technique I'd like you to focus on is his body angles. His pelvis and spine angle are all very much as they were at address. It's this consistency of shape that promotes consistency of strike. It does, however, need a certain amount of athleticism to maintain those angles as the body rotates and unwinds... and this is why many club golfers struggle here, typically straightening up into a more comfortable posture, but one that throws your delivery off line. Practise maintaining posture and body shape by addressing the ball with your backside up against your golf bag. Maintain the contact as you rotate into your backswing; keep your head steady and feel your trail foot screw in to the ground. If you are not as mobile through the hips as you once were, allow your lead heel to float off the turf. This will help you fully load your trail side while retaining those set-up body angles. Narrow your base and you make balancing harder, forcing yourself to improve your ability to hit the ball without falling off it. Hit 10 shots like this before reverting to your regular stance; balance will suddenly feel a whole lot easier. This is another fun challenge for the range that forces you to develop your sense of balance and stability. Again, when you can stay perfectly poised on a gradient, at lies become easy. For the world's best golfers, every shot begins a long time before they start their backswing. Each swing is in fact a reaction to the shot they have chosen to play in that moment, based on a wide range of considerations including lie, the conditions, the target and potential hazards. It is just as valuable to watch golfers like Justin in the period before they swing as during the swing itself. You will see a disciplined gathering of information, which he will use to create the shot he wants to play. Pulling the club comes at the end of this process of creation and visualisation – in stark contrast to the club golfer, who typically picks the club and then considers the shot. A clear image of your shot doesn't just give you confidence; it tells your body exactly how it needs to react to create the appropriate action. So follow Justin's example here by clearly picturing your intended shot direction, trajectory, curve and finish. Such a process ensures you focus effectively on the shot you are about to create – a key part of any successful golf shot. Throughout 2017 Jason Day averaged 306.2 yards o the tee. While it's tempting to see that sort of power as the result of great athleticism and swing dynamics, we need to remember we can only achieve the required range of movement through good posture and balance... and that takes us back to the set-up. There are two particular address qualities Day demonstrates here: build them into your own set-up and you will have laid the framework for a more powerful action. Enhance your ability to rotate freely in the swing by bending forward towards the ball from your hips – as opposed to arching through your upper body. Bending from your hips means you can keep your spine close to its regular, standing alignment, which allows you to maintain its rotational capacity. That's going to give you more power and speed. Achieve effective balance and stability by centering your weight evenly between the left and right foot and from toe to heel. Feel like you can squash the turf under your feet while being ready to spring in to action with equal measure. When you feel you are swinging from a solid base, you set the tone for an effective, powerful swing. 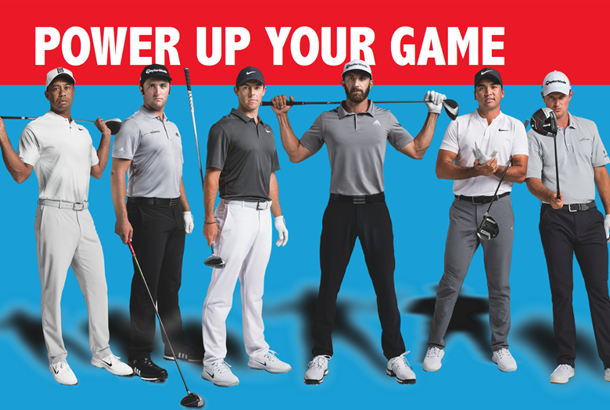 The biggest hitters in the game all demonstrate wonderful timing – that's to say the correctly-sequenced series of movements in the downswing that result in maximum clubhead speed and distance. In a nutshell, that means the lower body shifting and rotating before the upper body unwinds. Notice here how Tiger has firstly shifted and rotated his pelvis clear to the target by correctly applying pressure to the ground (pictured left) before unwinding his upper body through the ball with his club freewheeling through as a result (right). To experience the feeling of optimal timing sequence, imagine swinging the club freely – without a ball – as if you were going to throw it straight down the range, as far as possible. If you want to go ahead and actually release the club, make sure there is no one around you! To throw the club powerfully like this, you simply have to use the ground to work against... which encourages that ideal sequencing and timing. Many tour pros, and indeed athletes in other rotational power sports, condition the lower body and postural muscle strength needed to move in this fashion at high speeds by doing lateral medicine ball throws in the gym. The added resistance of the ball will help ensure you use the ground correctly. Does the ball go too far?